Imagine this: you have to find a random recipe for a romantic dinner or show a movie trailer to your friends, or learn a bit more about those weird insects in your kitchen, or reveal the next summer destination, or just read something new without any specific intention. What will you do first? 99,9% of us will routinely open Google, Bing, or Yahoo (insert your variant) and start scrolling through the search results hoping for the needed information to pop up. Basically, this is how any research may look like nowadays. All you need is a handy search engine that is capable to address all your needs. If one asked us which search engine to choose, it would be a piece of cake to get lost in the long list of search engines available on the market. However, in this article we tried to do something next door to impossible – specify list of different search engines and not get you puzzled. If you rank high on Google, most likely you’ll get the top positions on all other search engines (SE) as well. Google reluctantly discloses information about its algorithms, so SEO experts have to figure out them by their own. This is a bit challenging task, since there are more than 200+ factors taken into account by Google. And one of the most prominent factors is a strong backlink profile. Google loves and rates high the websites with a bunch of quality links from other authoritative websites. However, you should take your link building campaign seriously so not to make Google mad at you. Some time ago, it was possible to reach the top spots on Google by acquiring a myriad of cheap links from irrelevant resources. Now the time changed. And so did the SEO effective tactics. 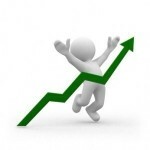 Here, at LinksManagement we carefully follow the latest trends and use this data to improve the quality of backlinks. We use only ethical techniques to improve backlink profile, e.g. link building and link-magnet content creation. LinksManagement provides more than just acquiring some new links – we improve your SB Rank, so the coefficient of effective visits increases as well. June 2010 – “Caffeine” – updated around 50% of the index. August 2010 – “Google Instant” – search results formation “in front of users”. November 2010 – the ability of site preview (with special button). February 23, 2011 – “Google Panda” – active struggle with SEOs. The algorithm affected 12% of search results: thousands of sites lost their position in the search results. However, later it became known that the main Panda’s task was the assessment of site quality. This was a Google’s response to a huge amount of spam and copied content. March 30, 2011 – added “+1” button for Facebook and Twitter users. It had to affect the organic issue, and for 4 years Google updated Panda more than 20 times (but on February 12, 2015, on Google+ videoconference, Google’s search department specialist John Mueller noted that “Panda” has not been updated since October 2014). April 24, 2012 – Penguin algorithm fights against unnatural backlinks and link building manipulation. Google “Hummingbird” (September 26, 2013). It’s probably the smartest Google algorithm, developed to improve the understanding of users’ needs. July 24, 2014 – Pigeon algorithm was developed to deliver better results on local search. April 21, 2015 – Mobilegeddon algorithm boosts rankings of mobile-friendly websites. Sites that have a mobile version now is a prerogative for search engines. The proportion of search using mobile phones and gadgets increases, so it’s quite important for a site to be mobile-friendly. October 26, 2015 – RankBrain is the most uncommon Google’s algorithm. This is an entire machine learning system that is capable to spot the relevancy and quality of any website. There’s no exact remedy from RankBrain penalties. The only thing you have to do is providing the best user experience and interesting content to your users. September 1, 2016 – Possum algorithm delivers better search results based on the user’s location. March 8, 2017 – Fred algorithm was created to punish websites for the excessive usage of banners, pop-ups and other types of pushy ads. Plus, thin content and a huge number of outbound links are non grata as well. August 1, 2018 – “Medic” core update heavily hit health and wellness websites. Basically, the aim of this algorithm is to encourage websites become EAT and evaluate their YMYL pages so to make them secure and handy for the users. More details on Google’s algorithms update you can find here. The search engine from Microsoft, using which you can do global, image and video search. At the moment, the system is the second world largest SE. It has some unique features, like viewing output results on one page, dynamic adjustment that is displayed in the search result: only the name, short or full summary information.Bing is designed to help you quickly find the information you need and effectively apply it when making serious decisions. Great attention is focused on areas such as orders via the Internet, travel planning, health, etc. 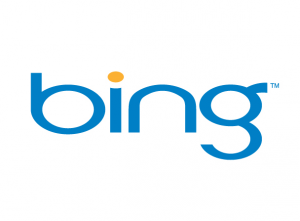 With the introduction of the “Best Mach”, which analyzes information that appears in search results, Bing allows users to find what they needs. “Instant Answers” complements page with some useful info. In order to compete with Google, two companies – Yahoo and Microsoft – announced a partnership in July 2009. Microsoft and shares their technologies. It does not pay much attention to the content freshness. So, for example, two-years-old page that fixed in the top is quite hard to displace. Yahoo! really loves links. But in contrast with Google algorithm, it does not pay so much attention to thematic component of the referred source. It does not pay attention to the internal references, so they not affect site position. But correct internal optimization in case of Yahoo should be done to in order to give crawlers an opportunity to catch maximum amount of info for 1 search session. Yahoo! requires approximately 6–8% of keywords per page. Yahoos is not as fast as Google, you’ll have to wait for indexing a little longer. Remember that nothing lasts forever, algorithms are constantly being improved and something that considered as “bad action” yesterday may have opposite effect tomorrow. Have no own database and search index, so generates the search results by mixing and re-ranging search results of other SEs. ProFusion. Allows you to search through a few major search engines. Search results are combined, duplicates eliminated, coefficient of relevance calculated. ProFusion provides personal service to preserve keywords, automatically scans the selected search engine and notifies user in case of finding new info. MetaCrawler. It sends a request simultaneously on 9 search engines: on OpenText, Inktomi, InfoSeek, Excite, Lycos, Alta Vista, WebCrawler, Yahoo, and Galaxy. High-speed search option allows to get fast results. Ixquick. Uses EntireWeb, LookSmart, Gigablast, Go, Overture, WiseNut, Netscape, Open Directory. HotBot. Provides easy access to the two major Internet search engines: Google and Teoma. 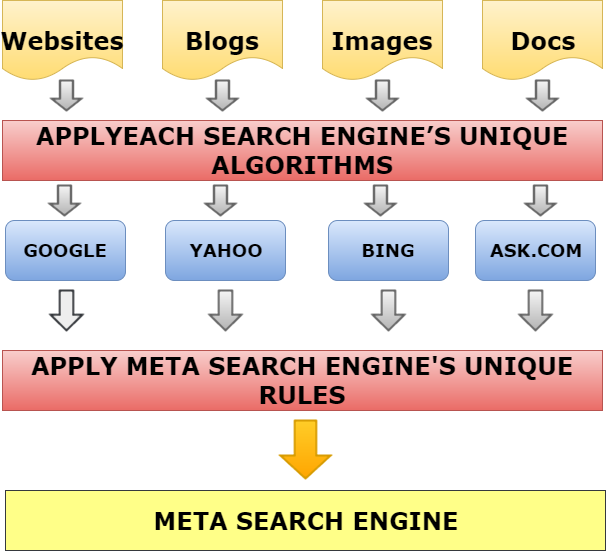 Unlike metasearch systems, HotBot does not mix the results of these search systems. Lycos. One of the largest information portals with search engines that allow full-text search by key words and phrases using a variety of search features, including Boolean operators and search by subject index. Excite. One of the first full-text search engines that performs search for key words and phrases. . In addition, Excite supports binary search (AND, OR, NOT) and searches for all words (using +), or exclude word from the search (using -). AOL Search. Does not have its own database: search results are taken from Inktomi and ODP (Open Directory Project). AOL has partnership agreements in 10 countries, but has no regional offices. Gigablas Offers a variety of tools, including the generation and the ability to index various file formats. There are around 500 search engines in the web that can be grouped by different factors, such as popularity, location etc. LinksManagement provides a kind of panacea for backlinks profile, allowing your website to grow within all of popular search engines, listed below. This can dramatically grow your traffic, especially if you sell your products or services world-wide or your customers are located in more than 1 country. Reference ranking is the effect of text links from another site to relevant pages on your site. External optimization assumes the presence of the promotion factors that is not related to the on-page (site structure, keywords, etc). 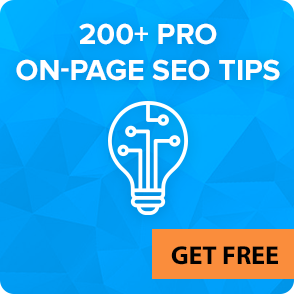 In fact, after the internal optimization completion, all work focuses on promoting your site by buying links with keywords from authoritative resources. It is desirable to place links on different domains, include keywords and avoid content duplication. As for image links, it should be noted that the contents of the attribute “Alt” transmits the reference for the Google (but not for all search engines). Age of backlinks. Taken into account to minimize the impact of paid links. New links (especially in Google) have a very low weight and gain it only with time. At first, optimizers don’t have great promotion effect from acquired links. Moreover, after some time, donor site can easily get banned or change his mind and stop selling links. It turns out that buying links on the most of exchanges, optimizer will not get anything and only spend his money. LinksManagement offers you quality help building backlinks profile with good DA one-way backlinks. You’ll get quality help in creating and maintaining your backlink strategy, increasing visitors rate from 1 000 to 30 000 per month in 3–6 months. Link topic. Effect of a thematic link can be 2–5 times higher than that of the link, not compatible with the promotion. That’s as many times LinksManagement can cut your budget for website promotion. Page authority. Links from pages with a high SB Rank have a great effect on the reference ranking compared with reference to the pages with lower parameters. Near-anchor text. Text placed next to the active link also has the effect of reference ranking.